About College : Visvesvaraya National Institute of Technology, also referred to as NIT Nagpur, formerly Regional College of Engineering, Nagpur and Visvesvaraya Regional College of Engineering, is an engineering institute in Nagpur, Maharashtra, in central India. About College : In today's world, the governance of any country is becoming more & more economy-centric. Growth of any society is not limited to its geographical boundaries but lies in its response to globalization. This is due to rapid development of technology in the recent past. About College : The College spread over 10 acres which includes, College main building (Block A & Block B), Workshop, College Guest house, Hostel & College canteen having built up area of more than 17,500 Sq.Mtr. About College :Yeshwantrao Chavan College of Engineering (YCCE) is established in 1984 by Nagar Yuwak Shikshan Sanstha, Nagpur. 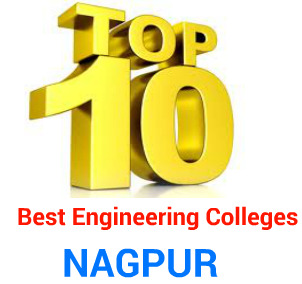 It is affiliated to Rashtrasant Tukadoji Maharaj Nagpur University, Nagpur. YCCE is renowned for engineering education and research. For over 28 years, it has successfully nurtured young engineering professionals, becoming a sought after destination for students aspiring to higher technical education and placement in the competitive software and core industry. About College :Laxminarayan Institute of Technology which was founded in 1942 owes its existence to the munificent donation of the Late Rao Bahadur D. Laxminarayan of Kamptee who by sheer hard work and inspite of many difficulties, not only amassed a considerable fortune, but became a prominent figure in the public affairs of the Province.